It's not just a diet; it's a way to eat for life." Now there is a refreshing thought in the world of diet plans! Dr. Agatston created the South Beach Diet with this philosophy. Apparently following this lead, more diets are shifting their attention to "weight management systems," "weight loss plans" rather than the popular notion of going on a diet to lose weight and then going back to eat the old way again. This newer approach proposes a prearranged selection for food intake and a moderate exercise program. The amount of support available from groups and printed media and online is astounding. This is a remarkable and good change in direction from the “magic bullet” approach used for so many decades. Change comes slowly. People are beginning to learn there is no quick fix for weight management. Many people are starting to assert control over their own lives. They are stepping into fitness with enthusiasm not seen before. The combination of exercise, recipes, meal plans and tons of support may be the winning way for dieters. When we make these conscious choices we may actually cease to be dieters and simply be healthier! The South Beach Diet tries to be all things to all people. It is a designer weight loss plan created by Dr. Arthur Agatson, cardiologist. Its scientific tone is in the attempt to learn to combine correctly carbohydrates and fats. No one counts calories or weighs food or starves with the South Beach Diet. It permits two snacks each day. As weight diminishes so do food cravings. One significant part of the South Beach Diet plan is to eat planned and well-balanced meals until you are no longer hungry. Phase One of the South Beach Diet is very restrictive about carbohydrates and sugar. Neither is allowed at all. Eating plans in this phase include lean meats, nuts, vegetables, salads with olive oil dressing, eggs, low-fat cheese, coffee and tea. Two snacks are recommended for each day. They are required. Phase One is the most restrictive part of the South Beach Diet. Most dieters lose more weight during this phase, up to twelve pounds. Phase Two is where the patient is likely to drop two pounds each week. Gradually more and different foods are allowed, including carbohydrates. Food cravings and poor eating habits are expected to disappear in this Phase. Patients should stay in Phase Two until their weight loss goals have been achieved. Phase Three is for the rest of your life. It is designed to be a health maintenance plan. It is a way to eat healthy for the rest of your life. If the patient begins to gain weight again, the advise is to return to Phase One. 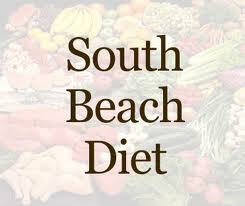 If you have diabetes or heart or kidney problems you ought to avoid the South Beach Diet program. Take the normal precautions and discuss your diet goals and plan with your healthcare professional. Choose a type of exercise that you enjoy and get with it, start moving and keep moving all through your lifetime. Both concepts of diets and controlling weight evoke images of deprivation and will power. 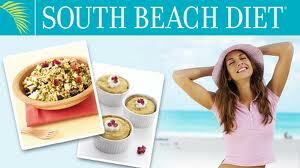 The South Beach Diet is a plan that minimized these aspects of weight management. Starvation is not a wise path for weight loss. It rarely works that way. Look closely at the a It may have just what you need. Remember it is your life, your body.